I’ve not been so great with healthy eating recently.. I think it’s because of how my stupid mind works – “Oh hey! You’re doing great with exercise.. that means you can have a burger right? Riiight?” Dammit. But I’m trying to be better again, starting with this for breakfast! 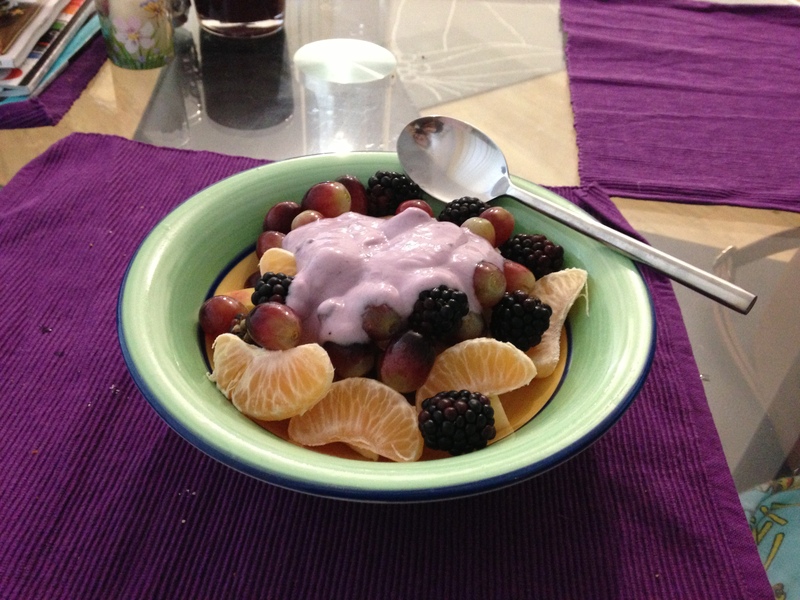 A great, healthy breakfast that I love and fills me up, yay! Now to stock up before I go back to skipping the meal. 06/11/2012 – Speedy Steph on a Segway!